Gov. Chris Christie raised the minimum age to buy cigarettes, tobacco products, and electronic smoking devices to 21 in New Jersey on Friday. Prior to signing the law, the minimum age was 19. New Jersey joins New York, which also raised the age to 21 in 2014. 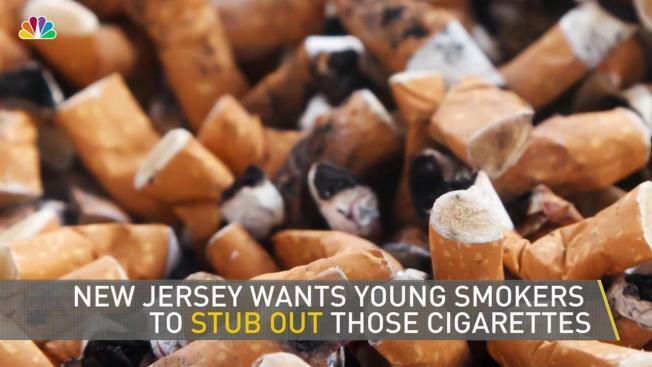 “By raising the minimum age to purchase tobacco products to 21, we are giving young people more time to develop a maturity and better understanding of how dangerous smoking can be and that it is better to not start smoking in the first place,” Christie said. “My mother died from the effects of smoking, and no one should lose their life due to any addictive substance. Additionally, the less people who develop costly tobacco habits that can cause health problems, such as lung cancer, heart disease and developmental issues, the less strain there will be on our healthcare system," he added. Christie vetoed the minimum age bill in 2016. According to the latest state data in 2017, more than 37,000 high school students in New Jersey smoke, and the number is higher for students who use e-cigarettes. The annual health care costs directly caused by smoking has caused the state $4.06 billion. The tax rate per pack of 20 is $2.70. fund and implement anti-smoking initiatives in New Jersey. One percent of the tax revenue collected under the Cigarette Tax Act and the Tobacco Products Wholesale Sales and Use Tax Act will go to the health department to fund and implement anti-smoking initiatives in the state.